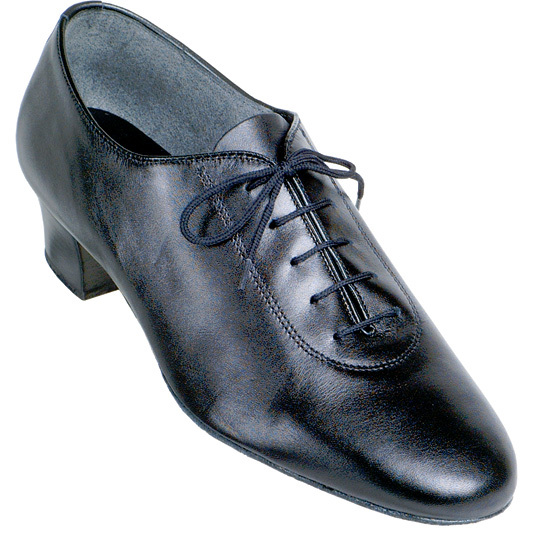 This medium flexible latin shoe has a cushioned heel and a full suede sole. Only one size left! 12.5 Medium American (~11.5 Medium English) black leather with a 1.5 inch heel. NOTE: English to American Sizing is approximate. The information is shown as a guide only and not a guarantee. Actual fitting may vary. Available in 12.5 Medium Width American in black leather.